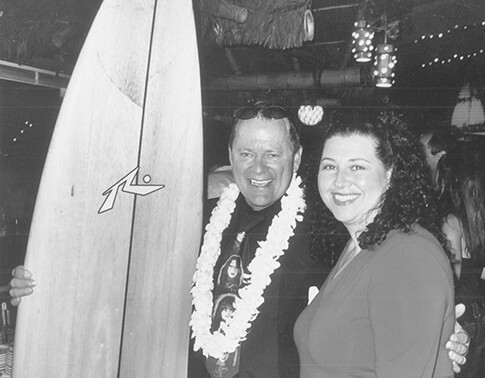 As a student at Huntington Beach High School, Meg purchased her first surfboard and began surfing the peaks of Lake Street, just south of the Huntington Pier. Her enrollment in the Newport Surf School in 1980 would alter her life forever. The surf school was owned and operated by Australian expatriates Peter Townend and Ian Cairns, and her casual introduction to the Aussie surf stars would prove to be a fateful occurrence. In March of 1982 she was working for the Aussie's at their nebulous sports marketing company, Sports and Media Services, handling a host of duties for the NSSA. In 1986 she was hired as the Operations Director for the ASP, running the professional tour from a small headquarters in Huntington Beach and an ancillary satellite office located in Sydney Australia. By 1995 she had shifted her role to Special Events Manager for the ASP Tour and when in 1999, the ASP moved its international headquarters to Coolangatta, Australia. Fatefully, Townend would enter her life again, this time in 2000, hiring her as the Administrative Director of the newly-created, SIMA-backed Surfing America, an organization which held the license for the ASP North America. Now Meg is General Manager at World Surf League. 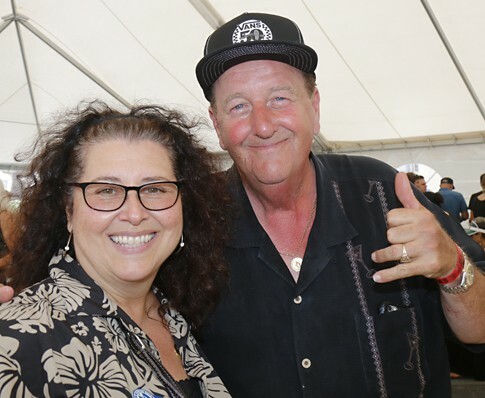 PHOTO: Meg Bernardo with Steve Van Doren at the 2016 SWoF Induction luncheon. Photo courtesy of Sharon Marshall.